The Fair Game Beverage Company, a small-batch distillery in Pittsboro, NC, has partnered with a Research Triangle professor and Chapel Hill mixologist to revive the ancient tradition of the symposium. The Oxford English Dictionary stylizes these Classical Greek events as “intellectual entertainment.” The distillery uses a folksier parlance. They call their series the “Drink ‘n Thinks,” and combine lectures on the history and philosophy of American cocktail culture with workshops on the mixing— and drinking—of the same. The first Drink n’ Think, offered in September 2014, coincided with the beginning of the harvest, which is also the beginning of the fall semesters at UNC, NC State, and Duke University. A localized tradition tied to the land and seasons met a cosmopolitan one tied to the life of the mind. Both discovered a shared ancestry, and mutual congregants. Called “Local/Global Mixology,” the event featured The Barbara (Lorie) cocktail, a classic cocktail that was originally called a Barbara West, possibly after one of the survivors of the Titanic. The Fair Game Barbara is a Pittsboro celebrity, and her namesake drink incorporated locally manufactured spirits like Topo gin and Fair Game’s white aperitif, mixed with homemade lemongrass simple syrup and a dash of bitters. One workshop participant, Leif Daimant, brought several of his own small-batch bitters to share, along with a bag of the weeds, flowers, berries and branches he’d used to make them. Mixologist Gary Phillips also showed participants how to make Manhattan variations using Southern bourbon instead of the traditional Rye, giving home bartenders the option to build their drinks with either Fair Game’s port or Apple brandy, a selection from his friend’s bitters, and either homemade liqueur-soaked cherries or a lemon twist. Twenty workshop participants brought their own shakers and made their own drinks, while Colbey Reid explained the local-global paradox of the southern-sourced Manhattan they all now held in their hands. In cocktail form, foraged ingredients grace urban bars and living rooms. They become metaphors for cosmopolitanism, as the local vegetation distilled into spirits literally moves into the city. The contents of a cocktail glass are a way of tasting the botanical traces of a particular place, and historically they have even been a way of consuming the traits of the bodies associated with those places. Scotch whiskey, for instance, has been considered the source of the physiques of inhabitants of the Highlands since the 1700s. Consumed by others, across oceans and continents, it imparted to the drinker—at least in the Romantic imagination—the desirable characteristics of the magnificent Scottish body. Drinking Scotch whiskey, Caribbean rum, or Indian gin by mixing it with locally-sourced bitters and liqueurs was one of the first ways that nineteenth-century individuals consumed the increasingly cosmopolitan world they were creating. Cocktails thus became one of the most prevalent forms of armchair tourism in nineteenth- and twentieth-century Western Europe and America. Yet given the colonial conditions under which the spirits were first encountered, and then manufactured and imported, the local/global paradox of cocktail mixology has never been benign. It was, however, as for the Greeks, an important civil tradition. In a forthcoming article on the topic I wrote with with Shannon McRae (State University of New York, Fredonia), we examine primary texts that circulated in American popular culture. These texts bear titles like “How to Drink Like a Gentleman,” “Prohibition and the Decline of Taste,” and “The Vocabulary of the Drinking Chamber.” Drinking was associated with bourgeois standards of etiquette, self-discipline, and taste. Anti-Prohibitionists mobilized the cocktail within a broader assault on American provincialism and framed social drinking as civil disobedience. Culinary tastelessness was considered a symptom of cultural tastelessness, signifying the loss of transnational cultural community that results from national temperance. Prohibition became yet another form of American barbarism, not only in the colloquial sense of lacking European cosmopolitan sophistication, but also in the ancient Greek sense of the barbaros as uncivilized, lacking fluency in the common language and customs afforded by world-citizenship. 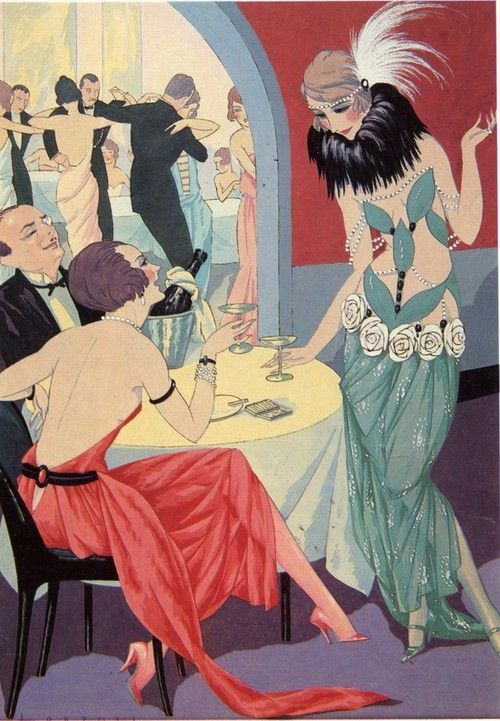 This is not to say that cocktails were entirely removed from energies considered desirably barbaric from the vantages of urban modern drinkers’ speakeasies and living rooms. Early twentieth-century cocktail culture was a form of primitivism in its adoption of many of the conventions of religious magic. Some of these examples date all the way back to the American Colonial era, when imported European folk and pagan traditions thrived along side Puritanism. The belief that tinctures made of local flowers, herbs, and other plants had spiritual and healing properties informed both the distilling and mixing processes embedded in cocktail consumption. Vintage cocktails also implicitly acknowledged the fundamental cosmopolitanism of some religious rituals and artifacts. Structured by the anthropologist Claude Levi-Strauss as ways of formalizing encounters with the unknown, so-called savage religious experiences encouraged and tutored congregants in worldiness. Such rituals were so appealing—and useful—to western cosmopolites of the new Industrial era that they sought to imitate and recreate their own modern versions, types more suited for the neo-temples of modernity. Cocktail culture was one such example, though American consumer culture may be full of other instances of religious primitivism. In our own time, drinking a cocktail is often conceived as the most secular and cosmopolitan of gestures. But the act’s historical antecedents suggest a more complicated picture of the drinks, which may have suited primitive religious structures for Jazz Era bars, Depression Era living rooms, and the suburban backyards rendered sacred by the Post-War cult of tiki. Colbey Emmerson Reid is Director of the Consumer Innovation Consortium (CIC) and professor of practice in the Poole College of Management at North Carolina State University. Reid has over 16 years of teaching and research experience in literature and composition as well as experience creating and overseeing study abroad programs and an interdisciplinary research and lecture forum. Reid has also chaired an institutional grant-awarding committee to promote faculty development at York College, where she was formerly Associate Professor of English. Her scholarly activities have focused on the topics of communication, innovation, creativity and design. She received the Leon Edel award in 2009 for her essay on the language of accounting in Henry James and the Fredson Bowers awards in 2011 for her essay on the relationship between early 20th century design innovation, consumption habits, and avant-garde poetry. Originally published November 6, 2014. Copyright GLOBAL ART & IDEAS NEXUS.